CityLife is the largest intervention of environmental and urbanistic requalification in the history of Milan. The project, in progress in the area formerly occupied by the historical location of the Fair, was jointly signed by Zaha Hadid, Arata Isozaki and Daniel Libeskind, different architects by means of their origins and culture, yet having in common the privilege of having experienced the most advanced episodes of the international architectural culture in the last decades. 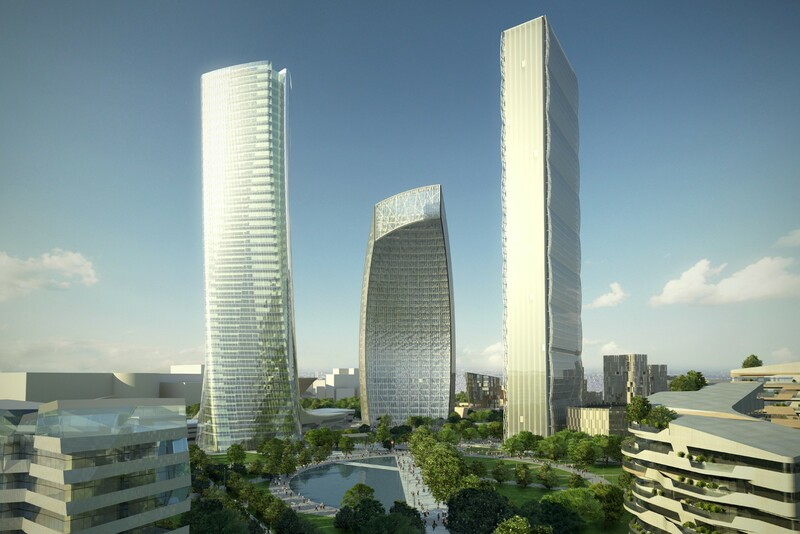 The project shall develop over an area of 255.000 square meters and it entails the construction of three business towers, five residential areas and the new Contemporary Art Museum immersed in a vast public park; subterranean parching lots are also provided for the subway station of the M5 line, a commercial complex, various public buildings. NET Engineering has performed, on behalf of investors, the service of Project Management Consultancy, which includes the activities of High Surveillance on the working plan developed by the General Contractor and on the construction activities. This function becomes strategic if we consider the entity of the investments and the complexity of the intervention: ensuring observance of the contractual deadlines and the expense budget is an essential condition in order to make sure the compliance with the Economic and Financial Plan.